First I just want to mention what brought me to to one of Massachusetts’ only major sites for vertebrate paleontology. 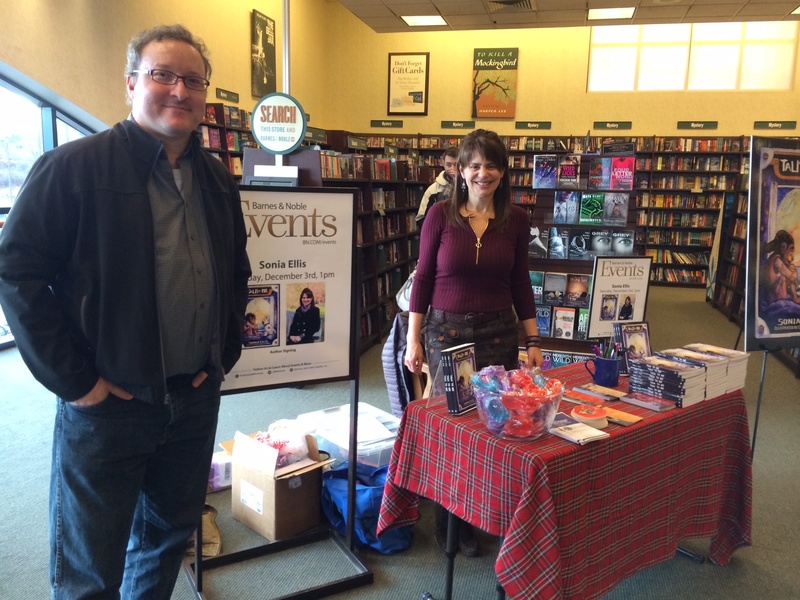 I was at the launch of our newest STEM book, Talk to Me, at the Barnes & Noble in Holyoke, MA. A wonderful book by a new author, Sonia Ellis, who is hoping to inspire young girls from multicultural backgrounds to consider entering an engineering career, just like she did. The event was awesome and well attended — read more here. 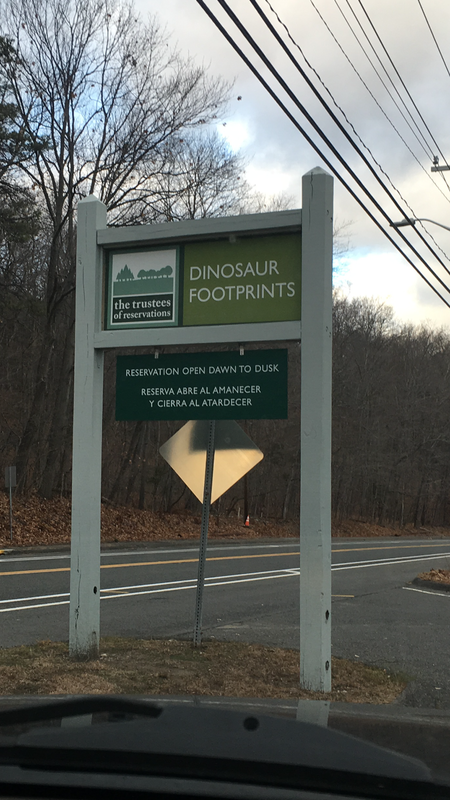 I figured, since this was a pretty long trip from Boston (and as long as I was in an area well known for Jurassic fossils) I may as well head to some of the major local paleontology sites. I had been aware since childhood that this part of MA is a hotspot for dinosaur tracks within the Connecticut River Valley, but I’d never really had a chance to see them in person. 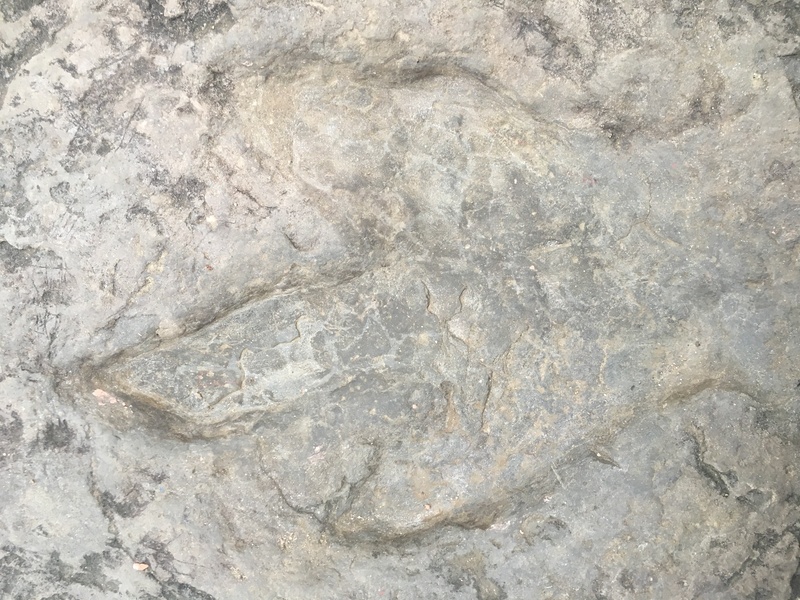 In fact, this is considered one of the best places in the world to see dinosaur tracks from the early Jurassic – or really, any period. 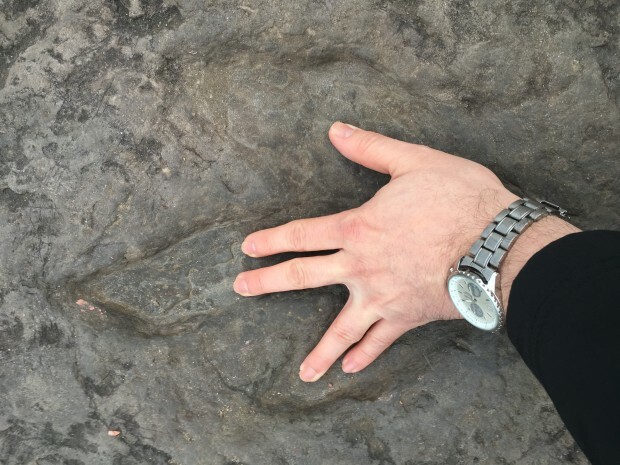 Some of these dinosaurs (like Eubrontes) were the early predecessors of the T-rex, and of course, they make some of the most recognizable tracks. 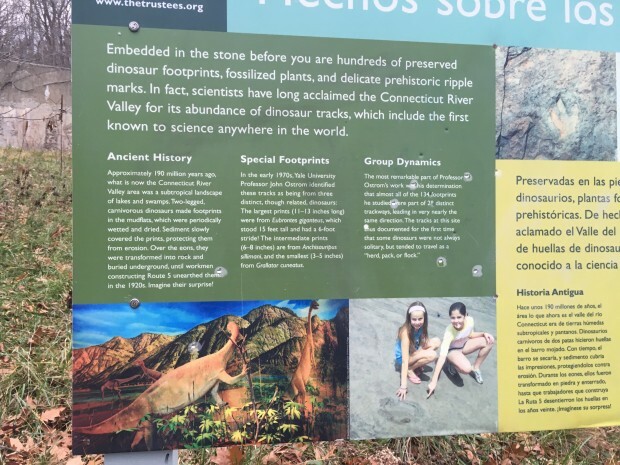 So, I took the opportunity to head to the public “Dinosaur Footprints Reservation” of Holyoke, MA. It’s quite a small area, at a little turnoff on Highway 5, just North of the city, with only a handful of parking spaces. There’s a small path that leads to a sign explaining what the reservation is all about. 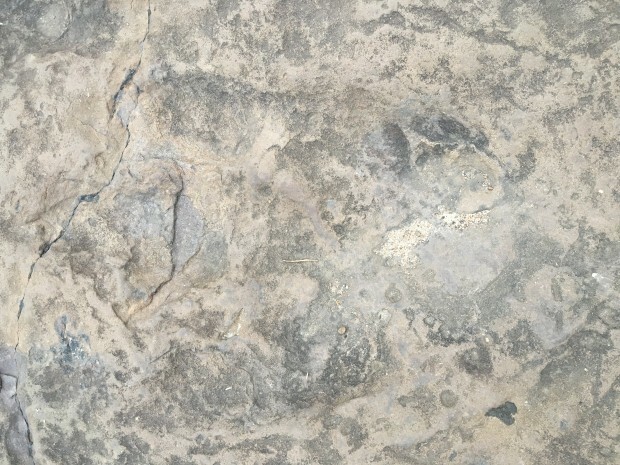 Well, it turns out that this area was the first major set of dinosaur tracks discovered in the entire world, and led to a whole new field of paleontology/geology known as the study of “trace fossils.” These are fossils that represent indirect evidence of an ancient animal’s existence and ecosystem. It can include things like burrows, bone scratches, coprolites (fossil poop), eggshells (which was my major field of research for many years) and more. Moreover, this area was later researched by one of my key science fair mentors, Dr. John Ostrom from Yale University (the guy who was one of the strongest early proponents of the likelihood that birds evolved from dinosaurs — he discovered the Deinonychus, which was almost exactly like the Velociraptor from Jurassic Park). 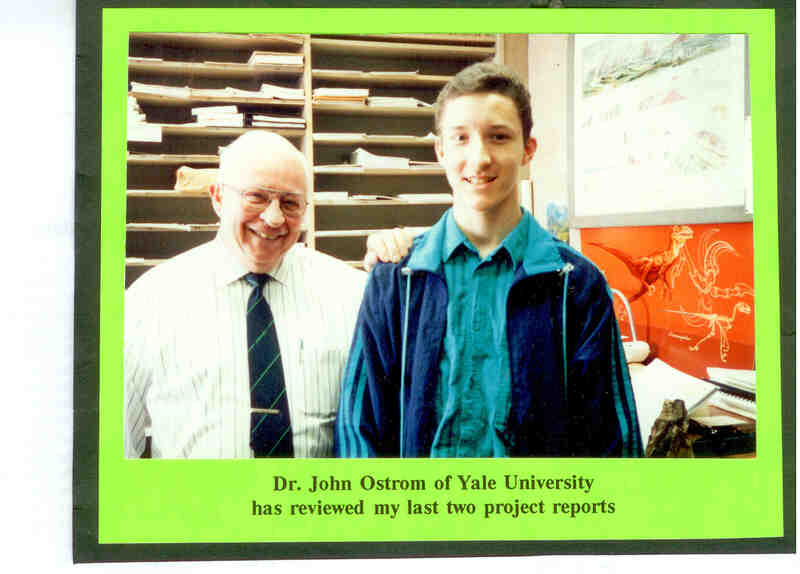 Here’s a picture of me with Dr. Ostrom, below, from one of my high school science fair boards (my project used eggshell structures and chemistry as another means of demonstrating dinosaur-bird evolution). Dr. Ostrom had been studying dinosaur tracks up and down the CT River Valley, and discovered a very important thing — a lot of the tracks were parallel to each other. 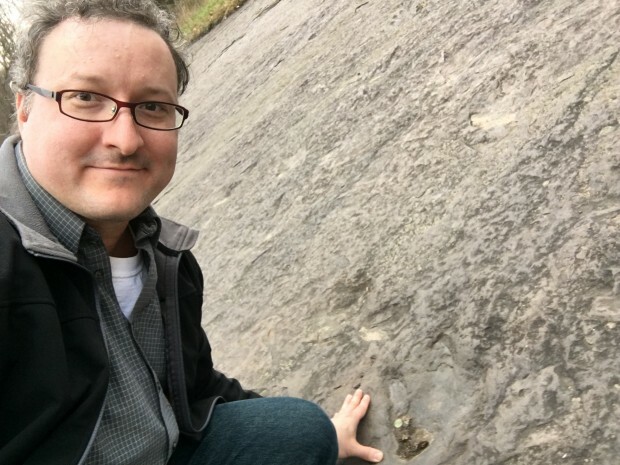 This led him to believe that perhaps some of these dinosaurs were possibly walking next to each other, perhaps hunting together or otherwise exhibiting social behavior (and wrote what was considered in the paleo community a very historic paper on how “gregarious” dinosaurs probably were based on this evidence). This is a behavior that you see in modern advanced mammals like wolves/ hyenas, and of course in many other animals, including some birds. In which case it would have shown that dinosaurs behaved less like reptiles who are usually solitary hunters, and more like advanced animals such as mammals and birds. Dinosaur tracks can be hard to see sometimes. That makes it very hard to do mapping projects involving dino tracks. In the above pic it’s hard to see the three claws of the dinosaur, but in the pic below, you can see where my fingers align with the track. This dino track is much deeper and easier to spot. 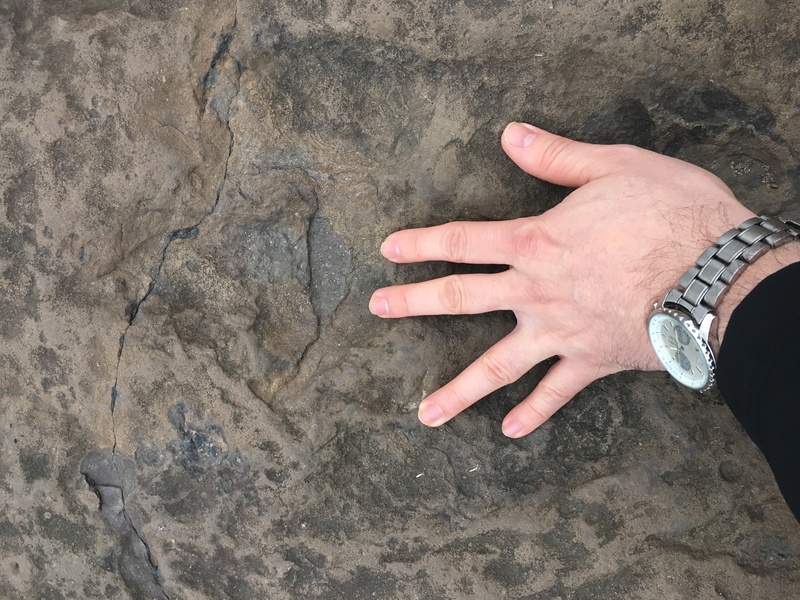 And here’s my hand compared to this much deeper dino track. Dr. Ostrom’s 1970′s work was certainly compelling and indeed helped to support the idea that dinosaurs were more complex animals than once thought. For many decades this speculation helped to inspire other paleontologists to find more evidence to support the idea that dinosaurs were more than just mere cold blooded reptilian hunters. 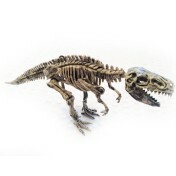 During that time many advances were made to suggest that indeed dinosaurs shared many traits with birds (specialized eye bones, hollow bones associated with flight, feathers, and gastroliths – which are stones used to aid in digestion) and exhibited maternal behavior; they may have even grouped together in large colonies to reproduce and care for young. In more recent times, biochemical analysis has been used to determine that T-rex proteins are much closer to birds than to alligators. The sign above describes Dr. Ostrom’s work in the region. 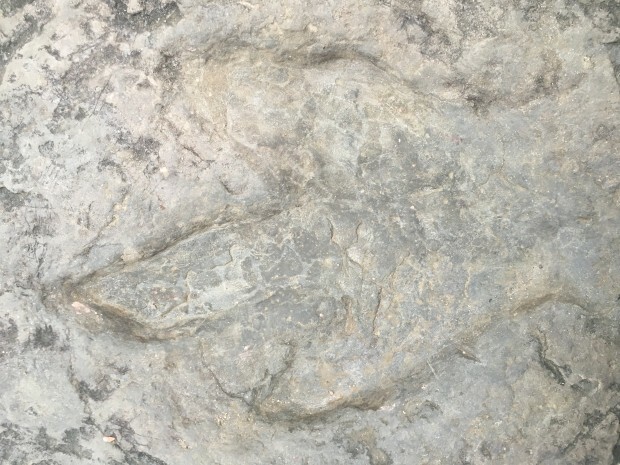 However, following Ostrom’s death, a new generation of researchers (specifically Patrick Getty and Aaron Judge around 2012) took another look at the Dinosaur Footprint park and discovered another key piece of the puzzle. 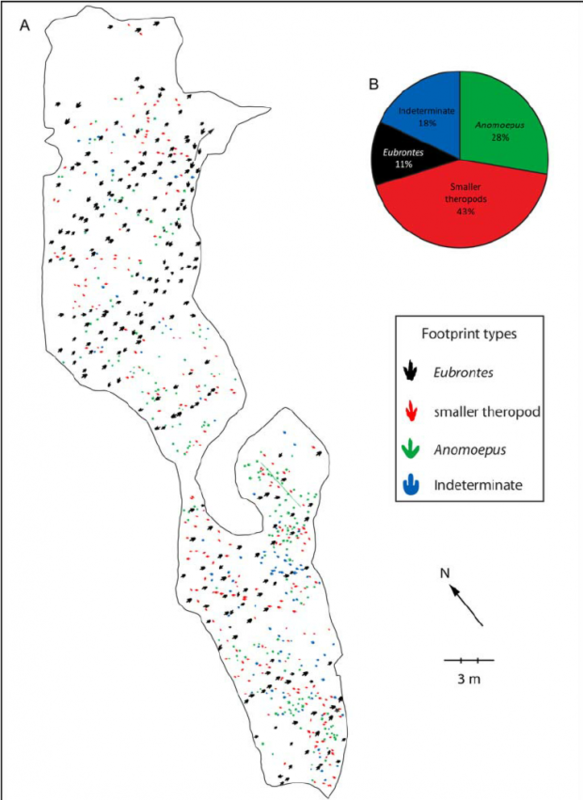 After further mapping, they found a few hundred more tracks in the region than Ostrom did, and it turns out all these tracks were also parallel to an ancient shoreline. 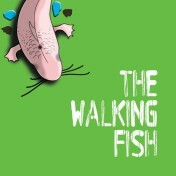 What this may have meant was that perhaps some of these dinosaurs were, in fact, merely hunting along the edge of an ancient lake shoreline (perhaps looking for fish or smaller reptiles in the shallows, or perhaps carrion), and not necessarily traveling at the same time. Some of these tracks could have been made days, months or even years apart. 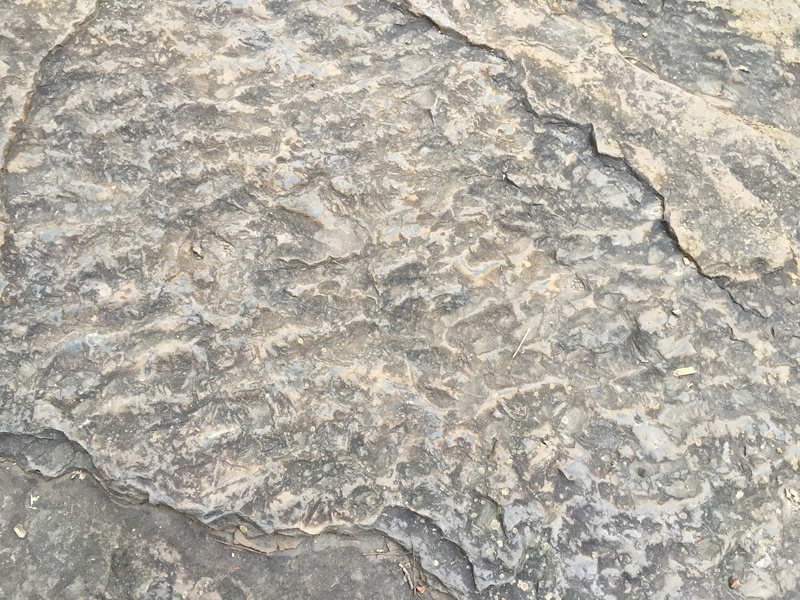 Here are some ancient ripple marks, that pretty clearly show a direction of flow; this can be used to determine where a shoreline may have existed in the past. While some of the dinosaurs may have been traveling together, the evidence has been piling up that this may not have been the rule, but rather the exception (for instance many non-parallel tracks of the same dinosaur species have also been discovered in recent years). It is of course a sad truth for those who want to believe that these early Jurassic dinosaurs may have been “gregarious”. 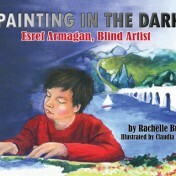 But, it still demonstrates why foundational science sometimes needs to be re-examined periodically with new equipment and techniques. Because, you never know what you may find. 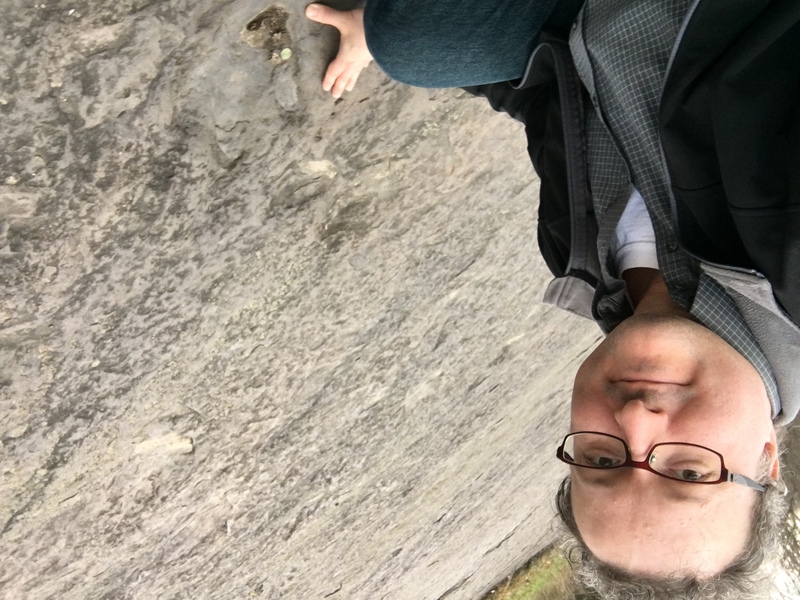 This wall of sedimentary rock behind me, as well as surrounding slabs, contains hundreds of dinosaur tracks. Note the one right by my hand. Although the original theory may or may not be correct, the mere possibility of the existence of social dinosaurs inspired many other paleontologists over many decades to go out and seek more evidence to support the dinosaur-bird evolution theory. Despite the fact that this one theory may now be debunked, most scientists now more or less agree that modern birds were once dinosaurs — and that’s why birds are now often classified in taxonomic terms as Dinosauria. 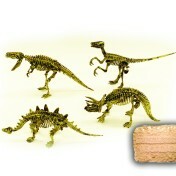 And to this day, most paleontologists credit Dr. John Ostrom with having been one of the pioneers of this idea. If you’re interested in more details and links, read about the origin of birds here on Wikipedia. If you ever get a chance to visit Holyoke, MA (the birthplace of volleyball, BTW) be sure to drop by the Dinosaur Footprints park. Be sure to be respectful of the land; as of 2016, there is now a $300 fine for any form of littering or vandalism in the area — not to mention, the weather is already very rough on these fossils, and they are quite faded, so do what you can to preserve them for future generations. Dr. John Ostrom is featured in my book, Dinosaur Eggs & Blue Ribbons.